La Roca FC is committed to helping our players reach their goals and achieve their dreams. Some players, however, cannot afford the cost of playing on a La Roca team. 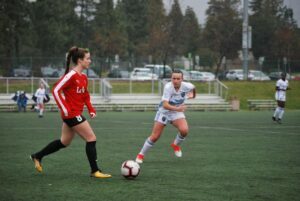 Depending on the age and level of play, a single player could incur from $500 upwards of $5,000 in a single year for registration fees, training fees, travel expenses, and tournament fees. Because our coaches want to see every player succeed, many coaches waive their training fees for players who would not otherwise be able to pay to be on a La Roca team. The combined total of fees waived by our generous La Roca coaches amounted to over $150,000 last year. The La Roca Foundation was established to raise funds to cover the above-mentioned expenses of players whose families are not able make such an investment. We seek donations from many sources, whether individual donors or large corporations, that see the value in investing in our dedicated youth. A sponsorship or donation to the La Roca Foundation will benefit youth who need financial assistance to continue to play the game they love. As a 501(c)(3) organization, all donations to La Roca FC are tax deductible. Please help our players reach their goals by donating to the La Roca Foundation. Provide access to quality development training facilities, training equipment and coaching/player development resources for years to come. 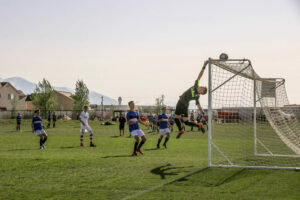 Provide financial assistance to those players of low-income families that would not otherwise be able to participate in soccer; and provide access to low- or no-cost soccer training programs, soccer camps, and outreach initiatives to under-served communities along the Wasatch Front. Provide opportunities for all females to be able to experience the game of soccer, particularly by developing inexpensive or cost-free programs to players ages 3-9; and further develop and support elite female athletes in their quest to reach and achieve professional or national status. Promote unity within the club, enhance La Roca’s visibility and reach to the community at large, and help generate funds to reduce club operational costs. 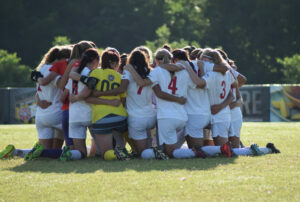 Events include skills camps, tournaments, college night, friendlies, and coach and player appreciation dinners.